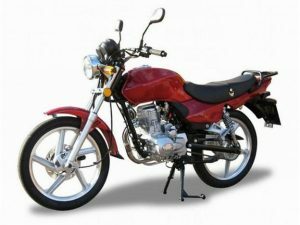 “I want to sell my bike to a motorcycle buyer, but I want to get the right price for it” is what many people say when they decide to part with an old model or simply want to get some money, so they can buy a new one. Getting the right price for your bike is not something that falls out of the sky and, taking the traditional path, of posting ads and waiting for buyers to pop up, is usually long and unsatisfying. What you need to do is deal with professionals. There are people that know a lot about bikes and can offer you some great sell motorcycle fasttips. First of all, you need to know how much money you should expect from the sale. For this, you will have to do a lot of research to check the prices on similar models. The prices you will see will give you only an idea on how much you may get for your bike. A lot of factors come into play, such as the condition of the bike, how old it is, and so on. Even so, you have no guarantee that you will get the best price. Any buyer you will encounter will try to get a cheaper price, which is just another reason to get you frustrated. There is another way. A simpler way that will save you both time and money. When you say “I have aHarley Davidson for sale”, you need to deal with professionals that will know how to evaluate your bike and tell you the right price. There are companies dealing specifically with purchasing old bikes or specialty bikes like BMW motorcycles.They buy bikes from people that sell motorcycle models they have no use for anymore, and pay cash for them. When working with professionals, you do not have to worry about not getting the right price. They will always tell you how much money you should get and pay you the cash. Also, there is another advantage when selling your bike to a company that handles such transactions on a regular basis. They need to finish the deal as fast as possible, so they will have your money ready, when you want to sell your bike. You only need to give us a call at 877.751.8019 and ask for a quote. If you are satisfied, we will come by your place to pick up the bike, and pay you the money right on the spot.